Reach: Radio offers broad reach across all demographics, including younger consumers not easily delivered by newspaper advertising. Radio reaches more adults every week than any other medium. Adding a relatively inexpensive radio schedule to a newspaper ad campaign can boost the number of different persons who will be exposed to an advertising message. Enhancement: The ear is a powerful organ for messaging, and radio can provide sound that is lacking from print advertisements. Conversely, newspaper ads can provide deeper messaging and details that short radio spots can’t convey. Recall: Radio combines with newspaper to improve brand recall. Numerous studies point to radio's ability to improve brand awareness and recall as well as improve the effectiveness of other media. Additionally, radio has been proven to improve an advertiser's return on investment. Environment: Radio cuts through the clutter, featuring commercials one at a time, whereas newspapers commonly display multiple ads on the same page, diminishing branding opportunities. Use radio to direct consumers to a particular ad in an edition of the paper for locations, details beyond radio messaging. Readers can easily skip past newspaper advertisements, but linear radio is intrusive and breaks through with your message. 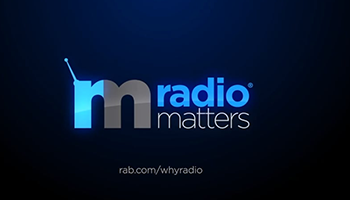 Arbitron/Media Monitors/Coleman Research’s 2011 “What Happens When the Spots Come On” found that radio retains 93% of its lead-in audience during commercial breaks. Frequency: Radio advertising is affordable and allows you to add impact to your brand messaging through repetition. You can air multiple radio spots in a single day versus one newspaper ad. That means bigger and faster results because repetition sells. Radio can help maintain loyal customers by keeping your name or brand image top-of-mind. When the consumer knows your name, she’s more likely to stop and read you newspaper advertisement. Targetability: Radio is highly-targetable. While everyone in the market reads the same print newspaper, there are many radio formats, each attracting a distinct demographic or lifestyle group that allows you to zero in on a specific audience – and making a radio buy more efficient than newspaper. Cost: Newspaper advertising can be expensive, depending on the size of the ad and where it is placed in the publication, and one ad hits all who read the paper. Good radio advertising is relatively inexpensive to produce and can be tailored to different demographic groups and placed within niche program formats. Speed: The time to create a radio spot, produce it and get it on the air is shorter than the time required to publish an ad in the print edition of the paper. Radio can be the advance team for messaging that needs to get out quickly. Recall: A Radio Ad Lab study on radio/TV synergy confirmed that adding radio to a TV ad schedule can boost brand recall. Swapping out one of two television ads for two radio ads increased unaided brand recall by 34%. Consumers who heard two radio ads and only one TV ad could restate a campaign’s main message equally as well as those exposed to two TV ads.